Nine Tables is exactly that. Nine Tables. Most often it is three 4 tops and six 2 tops. The concept is simple: for three nights per week, Nine Tables aims to serve twenty to thirty people per evening in a personal, slower paced manner similar to dining in Europe. Guests are invited to have a long, slow dinner at their own pace. Your table is yours for the entire evening from 5 pm to midnight if you choose. Tables are not “flipped” so when your dinner is complete your table gets the rest of the evening off. At first thought, one might think this would be a formal, stuffy experience….far from it, an evening at 9 Tables can be anything you want it to be. Most often it will be informal, fun and relaxing. The atmosphere is intimate, the small space is dark and cozy but there is enough space between tables for each group to have their own experience but also close enough to encourage camaraderie. The restaurant is BYOB and it is not uncommon for people to trade bottles or share during the evening. The best table to reserve is set up next to the chefs prep table which allows full access to all the action and to Chef Bill throughout the evening. For each guest, dining at 9 Tables is like having a personal chef at your home. 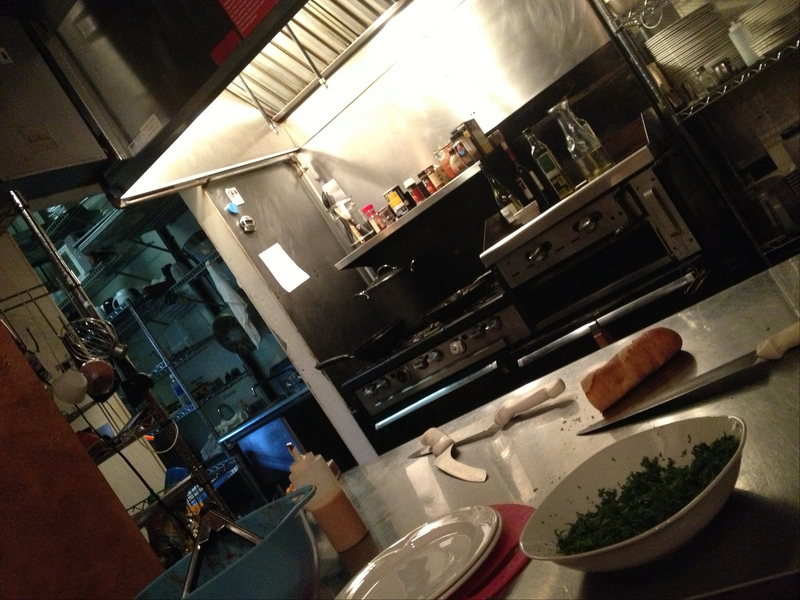 The restaurant is largely a two person operation. Husband and wife team Bill and Suzanne Justice run most of the show throughout the evening. Suzanne minds the tables and assists with prep and running dishes out. 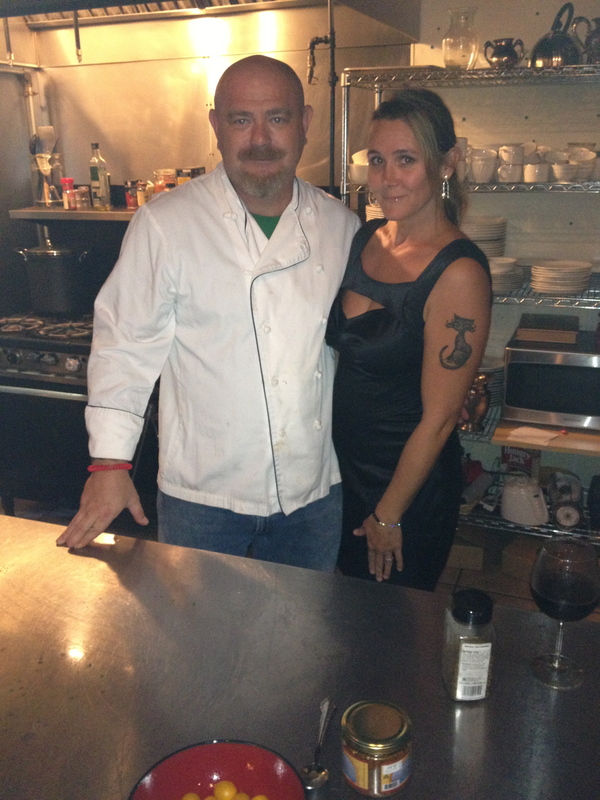 Chef Bill cooks and banters among guests throughout the evening. Choices are a tasting menu of seven or five courses. Almost all of the ingredients are sourced within Athens County usually on Thursdays to get ready for the weekend. Combined the duo work hard to create a complete culinary experience for their guests from first course to the ending dessert. The two have an interesting history. They met at ACEnet – the local food business incubator. Bill was working as a food scientist. Suzanne was developing a product. They found they had a lot in common which led to marriage, a child. Those commonalities made them want to make a different dining experience for customers which would also led to creating a family friendly business model for themselves. Their limited hours allow both to spend more time with their family and focus on each of their customers individually. Bill started in the food business in “the front of the house” and then decided later in his restaurant career to become a chef. His combined food service experiences helped him to define exactly what he wanted 9 Tables to be: simple, fresh and fun. While it is mainly just the couple working the house for the evening, they do have a few staff drop in to help during the peak hours of the evening and to clean up after the doors close. Their two ten-year old daughters help out as well. Isabella helps make the cheesecakes and Sophie assists with the creme brulee – both rake in big tips when they come in to serve for special events. If you book a private event the two young ladies might make jewelry for your party to take home. 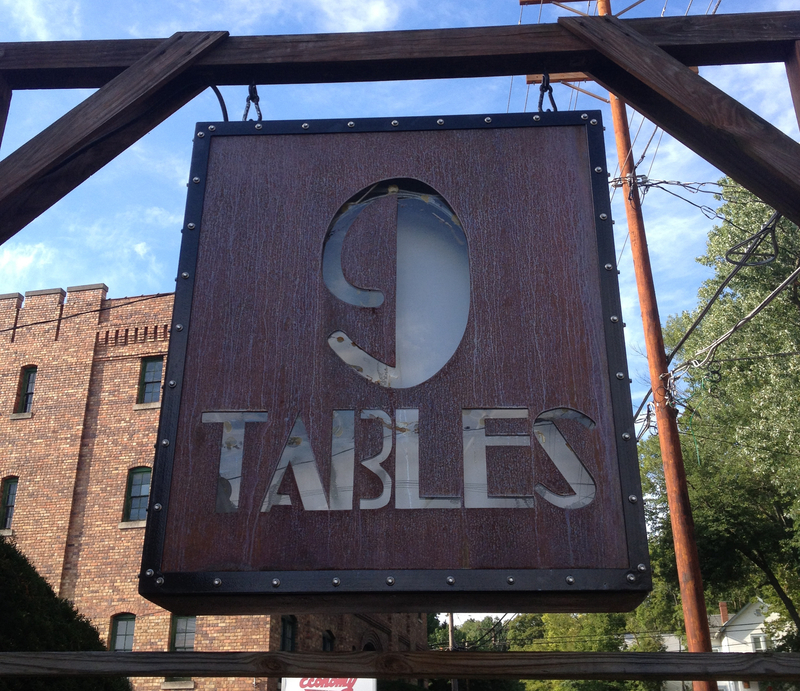 The 9 Tables menu is constantly changing based on what is fresh and in season. Many dishes can be adjusted to meet a guests tastes or dietary needs. Since the menu I enjpyed won’t be the one you experience, I will just focus on two of the seven courses of my meal and I why I enjoyed them. My favorite dish of the evening was a serving of mussels. These were prepared in a sauce of white wine, heavy whipping cream (Snowville of course), garlic, red pepper flakes and parsley. All simple ingredients and all mixed to just the right proportion. 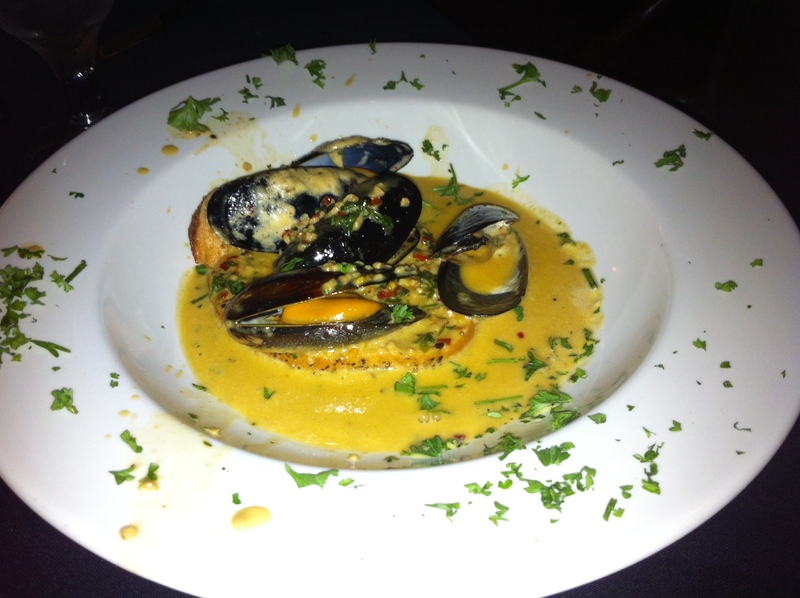 The sauce and mussels were draped onto a freshly toasted slice of bread which swam….then sunk into the sauce. The best sign of a good dish of mussels is when I choose to drink the sauce at the end. I left no drop behind. My second favorite dish, was, maybe surprisingly, a salad. Suzanne mentioned the salads change constantly but are always more than just a simple mix of greens. My salad was a combination of fresh local greens, small balls of mozzarella and a few pickled peaches and onions. I don’t like onions and have never had a peach in a salad before but the pickling of both accentuated the flavors perfectly and made all of the elements of the salad able to stand on their own and together. The wholes were great but the sum of the parts were even greater. Because the onions were palatable and the peaches perfectly preserved I asked Bill how they came to him pickled. He shared with me that he pickled them a few hours before serving to help preserve their flavors. His pickling approach is a simple process which takes very little time but he finds it is one of the small touches people usually notice. My meal of seven courses lasted over three hours, if the Designated Diner and I were not in such a hurry to get back to Columbus before midnight, we would have stayed much longer. Dining at 9 Tables is like dining in a friend’s home for a small dinner party. It is a good exercise in retraining ourselves to the art of eating well: small courses spread over a long period of time so the meal and the company can be enjoyed equally. I will also mention that while I rarely drink coffee in the evening I was more than happy to indulge in locally produced Dawn Chorus Coffee, it was a perfect close to a wonderful evening. Thank you Bill and Suzanne for your hospitality. 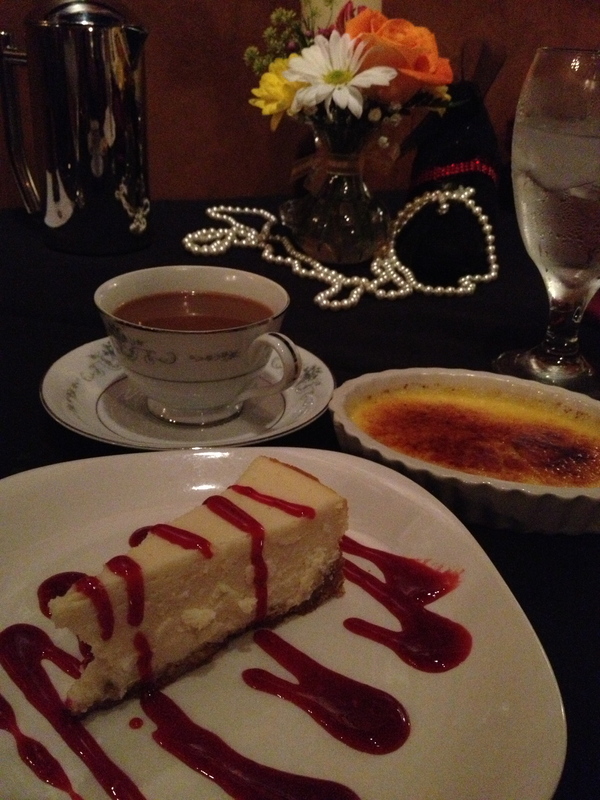 This entry was posted on August 17, 2013 at 12:15 PM	and is filed under CLOSED, restaurants. Tagged: 9 Tables, Bill Justice, Nine Tables. You can follow any responses to this entry through the RSS 2.0 feed. You can leave a response, or trackback from your own site.